Join the Marin MPA Watch Volunteer Team! The Marin MPA Watch is composed of a group of citizen science volunteers who are trained to collect scientific data on human consumptive and non-consumptive use in and outside of our local marine protected areas (MPAs) using specific protocols and a survey. Surveys are observational only, and collect information how how humans are using their MPAs (surfing, kayaking, fishing, boating, running, etc.) Surveys inform MPA management and supports the California Department of Fish and Wildlife in improving our understanding of how people are using our statewide MPAs. The California MPA Watch program is implemented by ten different organizations throughout the state. 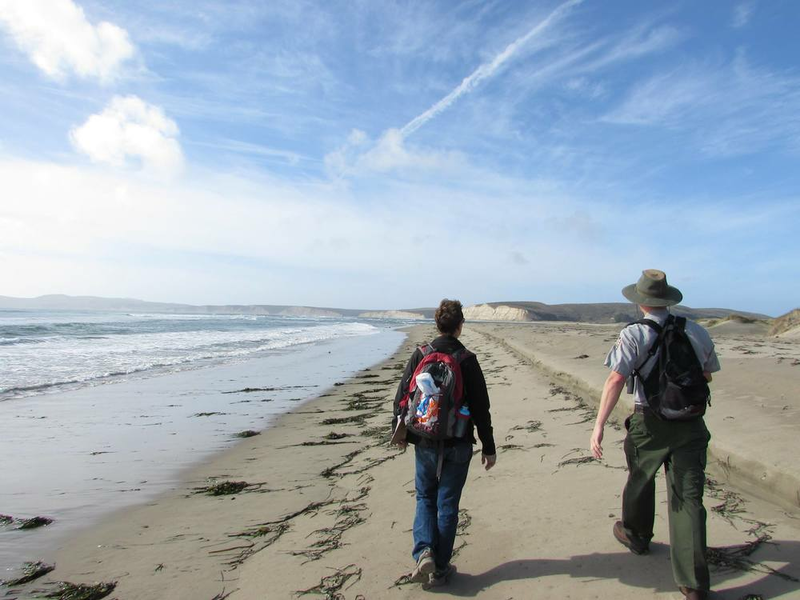 The Marin MPA Watch Volunteer Program is managed by the Environmental Action Committee of West Marin (EAC), and in collaboration with the California Academy of Sciences, and Point Reyes National Seashore. The Marin MPA Watch focuses their efforts at Agate County Beach, Corte Madera Marsh, Drakes Beach, Drakes Estero, Point Resistance, and the Point Reyes Headlands. Learn about our methods, partners, and results of our volunteer training within our Marine Protected Areas. Ready to take the next step? Become a citizen-scientist and monitor our Marin County Marine Protected Areas.